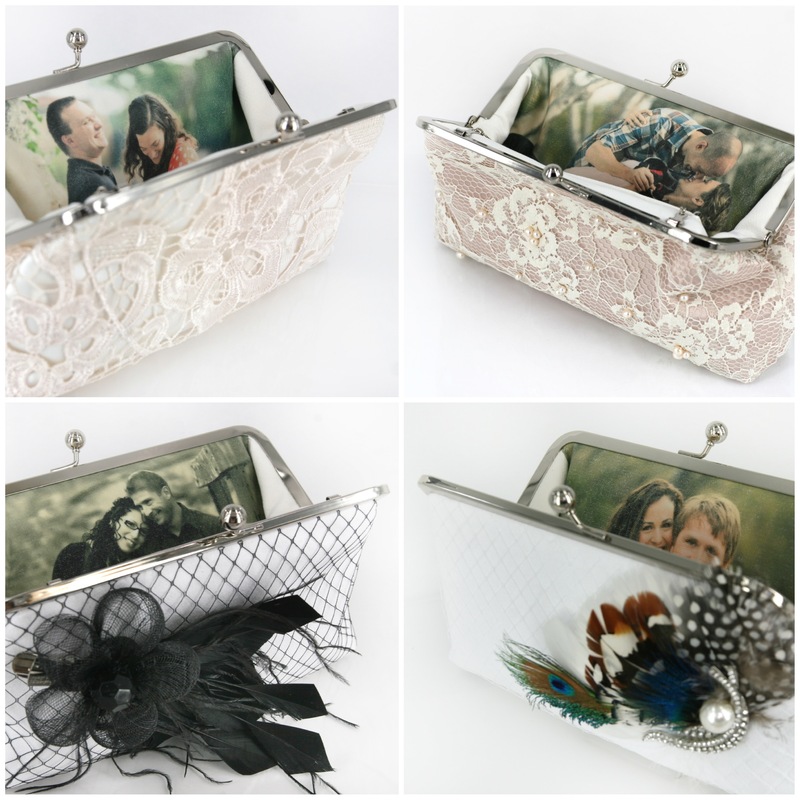 Since we launched our personalized photo clutches a year ago, we’ve made hundreds of personalized photo clutches and they are all a true pleasure to make as we know that each and everyone of them will contribute to the details of a brides’ big day. 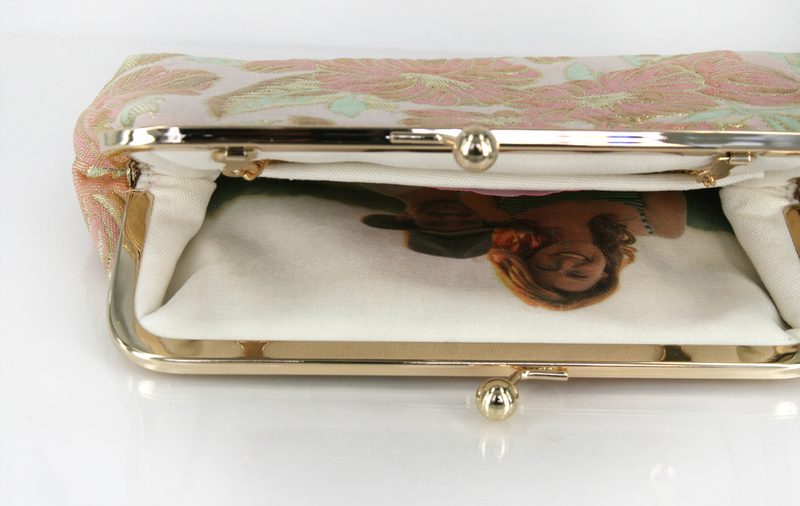 In this post, we’d like to show you a few of our absolute favourite photo lined clutches that we’ve made for bride-to-be all around the world. These are real eye candies and we hope you’ll like them too! 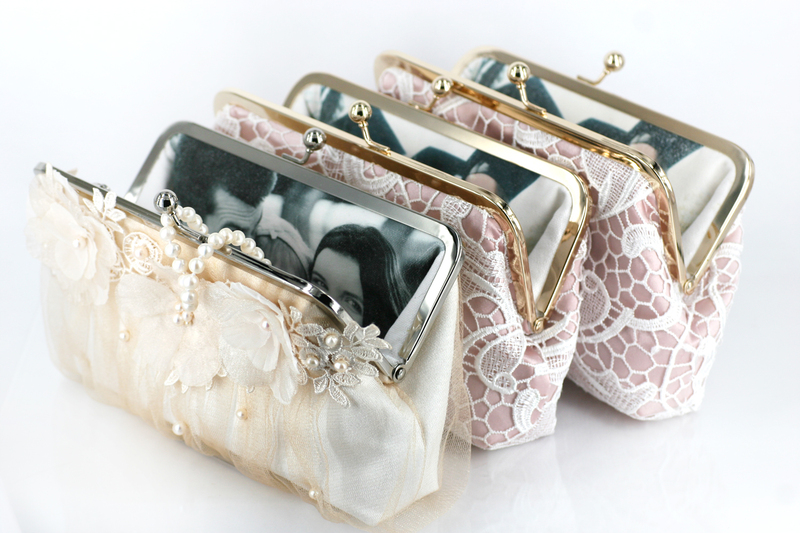 A great wedding is always in the details, treat your maid of honor and your bridesmaids to something special by including a treasured photo you and them in a clutch bag! Plus, this could be something that they can use again after your big day! 2. 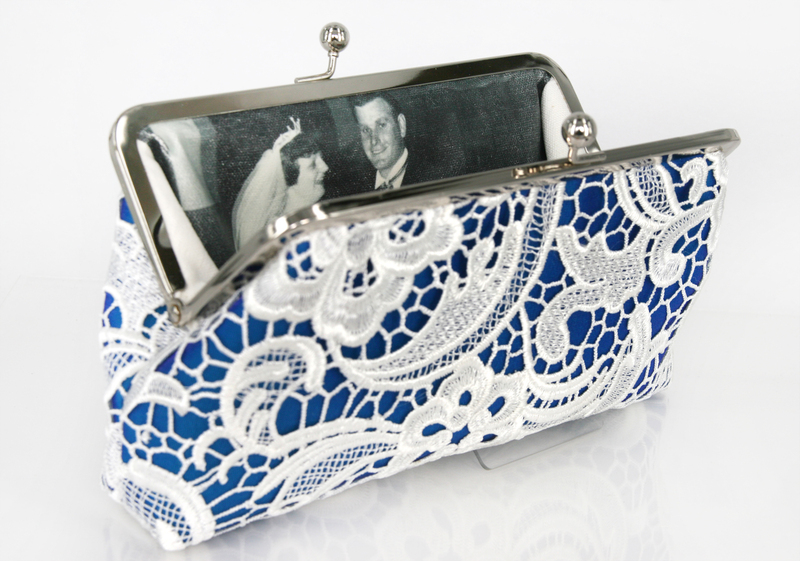 Something New, Something Olde, and Something Blue, all in one clutch bag. 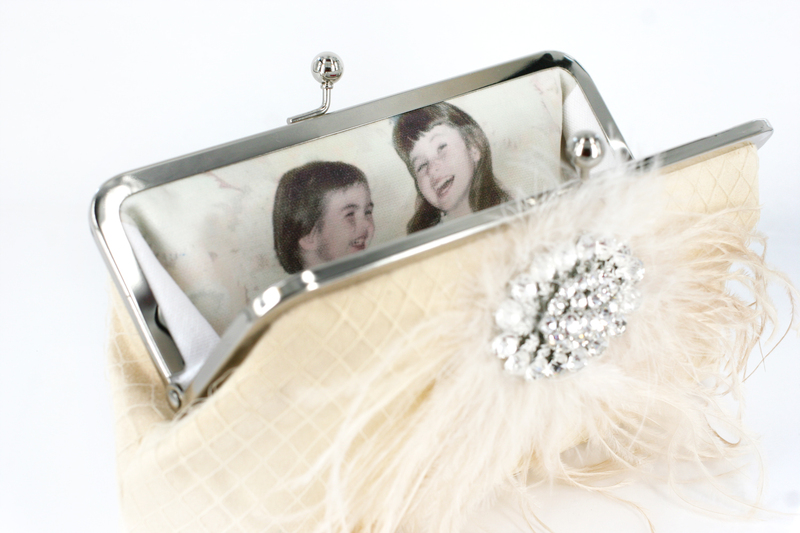 We love the idea of including a vintage wedding photo of a loved one into a bridal clutch! 3. A treasured childhood photo is sure to bring a bright smile. Here’s one of our absolute favorites as we adore the cute smiles, plus the composition of the photo worked so perfectly! A white or simple background photo also does wonders in the lining of our clutches. Sometimes, less is definitely more! 5. Love your Engagement Photo? We do too! A positively beautiful yet discreet way to “maximize” that investment you and your fiancé spent on the engagement photo shoot!